Are werewolves real? Find out the chilling truth about werewolves and their kin – dogmen and spectral black dogs – in this unique collection of 31 well-researched and illustrated articles by leading writers and investigators, including Loren Coleman, Brad Steiger, Mark Chorvinsky, Scott Corrales, and many others. 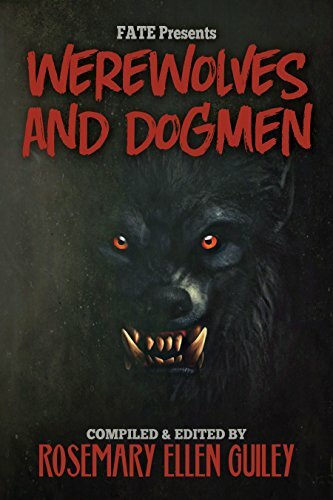 Learn about: The bizarre history of werewolf origins; real cases of bloodthirsty beasts; how humans transform into wolves; modern cases of deadly supernatural werewolves; and the dogmen and black dogs that roam lonely landscapes. This stellar collection from the best of FATE magazine will have you looking over your shoulder the next time you are out on a full moonlit night!